Release code right from the start. It doesn’t matter if its not very useful. The best way to sort a town council is to simply do the job then tell them it has been done. Linux, KDE and GNOME have all taken this attitude and all done well from it. You can argue about the right way to program for a lifetime. Once there is code out there people (whatever their skill) can play with it. Appreciate there are people who with a bit of help will contribute very much to a project. If their first patches are buggy don’t put them down, explain why there is a problem and suggest solutions or places to look for examples of solutions. Every minute spent answering real questions helping someone work on a project will be paid back ten-fold to the project, and incalculably to society. Don’t forget non programmers. 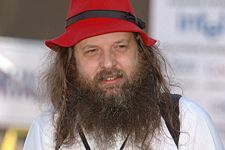 I find it sad that many people when asked „name the most important five Linux kernel people“ rarely name some of the most important folk of all – the all to forgotten people who maintain web sites, change logs, mailing lists and documentation are as important. Linus says „Show me the code“. That is a narrow view of a real project. When you hear „I’d love to help but I can’t program“, you hear a documenter. When they say „But English is not my first language“ you have a documenter and translator for another language. — Combinations of attraction and persuasion point participants toward problems. — Address an immediate problem or opportunity. — Freed from worry about “lock-in,” adopt others’ foundation solutions. — Traditional development process relies upon an engineering archetype, in which an authority decides the path to be followed in development. Open source process follows an evolutionary archetype, in which the community allows multiple parallel paths to generate multiple alternative solutions, from which successful solutions are later selected. — Open source projects engage many bug-hunters and bug-fixers. — The larger, dispersed community is more reliant on documentation. — The evolutionary model rewards frequent iterations (generations), but puts a strain on those that must select among many submitted solutions. — Direct communication within the community, with lots of open conflict, typifies open source processes.